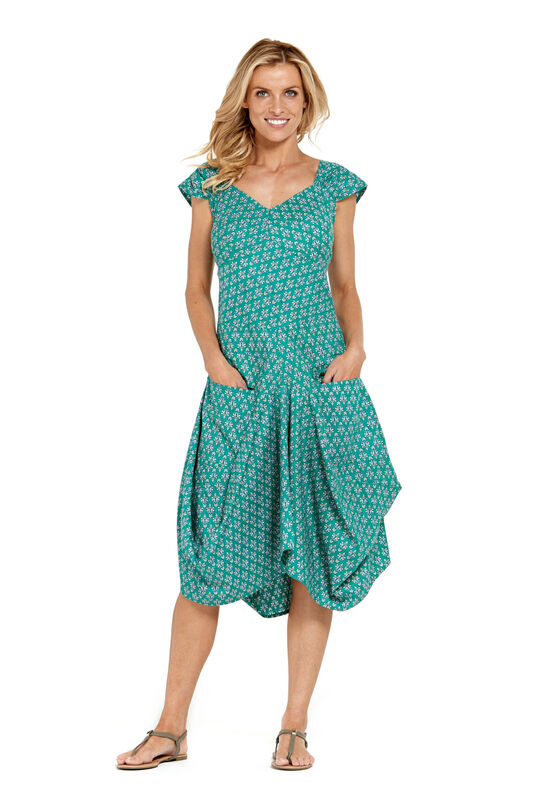 Meet our New "Renata " Dress, a fabulously flattering dress with all kinds of wonderful draping leading to an asymmetrical hem . 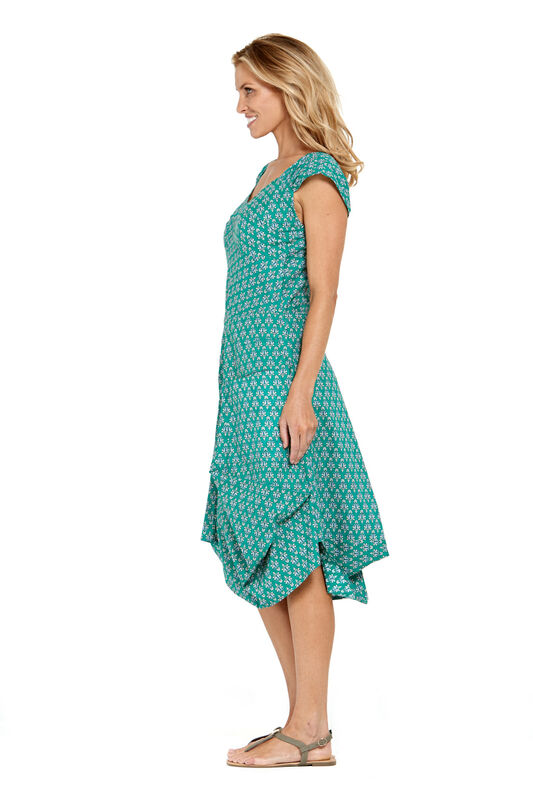 Renata has other fabulous features such as pockets, elastic at the back for a perfect fit & a type of extended cap sleeve with gathers for plenty of movement .So easy to wear the Rasaleela "Renata " dress which has summer written all over it in our exclusive Creation block-print. An all–occasion dress from morning to night, flats to heels – the choice is all yours.